दिन-ब-दिन बढ़ रहे पेट्रोल के दामों ने आम आदमी की दिनचर्या को प्रभावित करना शुरू कर दिया है. बाजार में महंगाई बढ़ाने वाले कारकों में से एक पेट्रोल की बढ़ती कीमतों के बारे में अपनी बेबाक राय दें……..
Prices hb raked up petro co profits, Dividend, bonusezs for staff. Petro cos n lobbies r misguiding the govt. 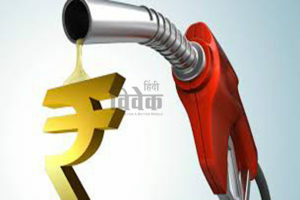 Govt can fix petrol price at rs. 35 n diesel st 25. A GST of 28 pc can fix petro price with GST at Rs44 n disel at Rs 33. Low priced petro lubricated economy. Petrol petrol everywhere why not people discussing about pulses, rice, wheat, spices etc. This is a drama to threat the present government. We have paid rupees 73 for this petrol 4 years ago. It can be fact that government put some more taxes or cess etc. on petrol but for what purpose? Explore the reason, it may be for giving facility to soldier, to farmers, to labours. I welcome the decision. सरकार या तो तेल कंपनियों पर अंकुश लगाए नहीं तो पुनः इसे अपने हाथों में ले ले. इसका प्रभाव २०१९ के चुनावों पर भी पड़ सकता है.